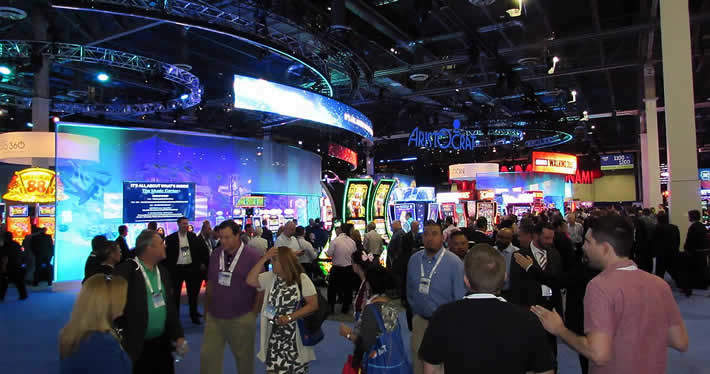 The Venetian Casino in Las Vegas recently hosted the 2018 edition of the Global Gaming Expo, more commonly called G2E. As you might expect, the Venetian’s huge conference hall was flanked with a myriad of new bright and flashy slot machines. Up at the entrance to the conference hall, however, there was the unusually prominent presence of new sports betting opportunists and advocates. There were booths from Betconstruct, Inspired, Genius Sports, SBTech, Kambi, and Playtech, all eager to show off their own versions of what sports betting could be. Of course, sports betting is not anything new in the US, online or in land-based casinos. There’s no argument that at least some part of the egaming industry in Europe owes its origins to the grey markets that existed in the US before the Unlawful Internet Gambling Enforcement Act (UIGEA) of 2006 came into effect. Some would say that if there is any place in the world that could be called the home of sports betting, it would be Nevada, and there are billions to be made in the offshore market. One can’t even begin to estimate what the “local”, technically illegal, markets run by friendly, entrepreneurial bookies are worth. There’s no denying that a very large sports betting market already exists in the United States. It just happens to be that the vast majority of that market is staying low, under the radar, and unregulated. Because of this, discussions about sports betting can run the gamut from simple, almost philosophical questions like, “What exactly is sports betting?” up to more direct and complex concepts such as, “How can we take advantage of emerging technologies like AI to maximise reach and revenue?” Conversations could be heard covering everything from the basics of operating a sports betting business to painfully detailed plans for getting the most out of one. There was one crystal clear trend in the conversations on the floor, though. Now that regulated sports betting markets are opening in the US outside the borders of Nevada, the question is no longer, “What if?”, the question is, “What now?” Aside from trying to figure out who is winning, or going to win, the overall race, many are trying divine from current happenings what the next steps will be. Unfortunately, what’s coming next is nearly impossible to predict with each of the country’s states having the autonomy to make their own decisions about how to regulate sports betting — or if they want to do it at all. All the players are definitely showing interest, but not everyone is so sure about the ability of sports betting to bring back the glory days. Most of the audience in attendance at G2E has come to know sports betting as a land-based product with both low profits and low overall revenue. Nobody is rushing to dedicate much of their valuable casino floor space to such a product. Because of this, nobody is getting too excited about the slow-moving introduction of regulated sports betting at relatively small numbers of land-based casino properties. This apathy is allowing more aggressive European firms to step in and get a head start. The eyes of European operators are lit up with dollar signs while others only seem to see a losing proposition. Even though this market is just in its infancy, they’re already working to put themselves in the power seats. SBTech and Kambi are dominating the supplier market while IGT and the new owner of Openbet, SG Digital, are starting to fall behind. On the operator side of things, GVC has struck a deal with MGM that provides them with an unprecedented level of access to the American market. Paddy Power Betfair has already gained a strong foothold in New Jersey, and William Hill seems to be simply making deals to gain as many entry points as possible. SBTech and Kambi have already managed to gain a remarkable level of authority in the still small market. As more deals are made, their names even seem to come up before the existing US companies. With all of the deal-making that’s come out of this rush to get in early, many operators say they’re already starting feel like there isn’t too much room left before the doors start closing. The real kicker is that all of this is happening with years to go before the party even gets started. It’s difficult to say what even the short-term outlook is. The regulatory outlook is what is going to set the pace for any real changes, and that is something far from predictable. Gaming research firm Eilers & Krejcik Gaming (E&KG) is estimating four phases of US states coming into the game. Delaware, New Jersey, Rhode Island, West Virginia, and Mississippi make up the first phase, which is almost complete. The second phase, which is expected to raise the stakes considerably, will occur during 2019 and 2020 with states including Illinois, Pennsylvania, and the eagerly anticipated state of New York. At this point, about 17% of the adult population in the US will be able to legally place bets on sporting events through regulated operators. Phase three, due to occur in 2022, will bring that number up to 33% of US adults, but even at 17%, the market is only slightly below the size of the UK, making it extremely valuable. How attractive everything realistically becomes to operators is going to depend significantly on what the regulatory outlook indicates for the legalisation of online and, especially, mobile wagering. Although hopes are high, it is far from certain that regulators will indeed extend regulations to allow online betting. A recent report from Eilers & Krejcik Gaming warns, “We do not expect states to reach a clear consensus on the question of mobile/internet sports betting… [and] we could easily see a world where several states launch land-based sports betting only, at least initially.” This sentiment aligns with discussions, both formal and informal, at the G2E where many believe that there is still much to be done before mobile gambling is seen as a normal part of regulated gambling. Of course, land-based gambling stakeholders will naturally resist competition from online operators — especially operators based outside the US — but online gambling is also seen in a more negative light in general. Those from outside the US that are looking at these new sports betting regulations as a fresh, new, untapped market should carefully consider their actions and the risks involved before they move forward, but still, investors are certainly not shying away. When Metric Gaming, attempting to break into the US market with their own platform, went after a $10 million series A funding round in September it made headlines. Other companies like Sportradard and Genius Sports have tried to forego the European market completely and directly target the US as they begin their transformation from content providers to platform providers. Then, of course, online and mobile platform suppliers are already lining up to compete for their piece of a market that is really just New Jersey, possibly including Pennsylvania and Mississippi in a few months. Suppliers seem to be showing much more excitement than others in the general US gambling sector, which is resulting in the signing of some somewhat unconventional deals. One such deal involves Wynn getting together with BetBull, a mobile betting outfit that almost nobody has heard of. BetBull is operating on a white-label of Vbet, which runs on the BetConstruct platform. Many are wondering what made one of the largest gaming operators in Nevada decide to work with what comes down to an app coming from a white-label of a third-party provider — a provider that doesn’t even have a license to operate in the US. As strange as it sounds, that’s about what the market is like right now. These sorts of surprising deals and collaborations are becoming the norm. The major US-based suppliers seem to have dropped the ball — if they ever saw it coming at all. Kambi and SBTech have been gathering momentum while IGT and SG Digital don’t have any kind of market-leading solution. One has to keep in mind, however, that this market is still very young. A lot can change during the next few years. As it is now, though, there are many opportunities for suppliers to increase their station within the industry. The same thing goes for operators. The land-based operations that have dominated New Jersey for decades have been slow to get into the online market. According to data supplied by E&KG, DraftKings has 65% of the online market share in the state, FanDuel has acquired 22% and the SugarHouse brand, which is powered by Kambi, has 5%. Nobody expected the US sports betting sector to look like this during its early development. The real first impressions of the potential behind US sports betting came with the September numbers. Total revenues were at $24 million with an overall turnover of $184 million. Some have said that the numbers are not so spectacular, as they represent only a small increase from August, which is usually a slow month in US sports betting. As low as some might say it is, it still indicates a nine-figure annual market, even if there is absolutely no growth in this single state where approximately nine million people reside. When you start thinking about what happens if states such as Pennsylvania, Illinois and New York are added to the equation, the market becomes something worth a bit more attention. What everyone is wondering, though, is how we get to that point. For that question, there’s only one real answer, and that is…slowly. Nobody at the G2E conference, or the US gambling market in general, is predicting any kind of rapid expansion of legalised sports betting within the country in the near-term. Realistically, it will happen in a similar fashion to what we’ve witnessed in Europe over the past ten years or so. There were periods of rush and excitement followed by, unfortunately, long periods of waiting for new laws and regulations to come into effect, and then the entire cycle repeating itself with each new market. The US shouldn’t be much different. In fact, one should really try to look at the US as 50 separate countries, each with their own individual traits and ideas about how things should work. Progress will go slow, bring on frustration, and quite possibly put the endurance of early race entrants to the test. Some major determining factors of who will be able to make it to the end of the race are existing market presence, land-based revenues, and a bit of pure willpower. William Hill and GVC quite clearly seem to have what it takes. Paddy Power Betfair is also looking good with their existing presence in US horse racing and their FanDuel brand. DraftKings may also fit the bill as they continue to spread out into sports betting in every possible market they can get into. Then you also have the major US casino groups like MGM, Boyd, Penn National, and Caesars exerting strong control over market access. Operators not working with one of these already established local players could have a tough time making space for themselves. The land-based giants that have maintained such dominance over the US gambling market have, perhaps, hurt themselves as a result of taking too much time to make a decision about what they wanted to do. They very well could find themselves fighting and struggling to keep up in a market where they should have been in front from the beginning, especially if European operators find other routes in through things such as American Indian tribes or racetracks. All of this could, of course, change significantly. The market in 2022 most certainly will not look like it does today, but, as it is now, the European firms and operators are going to take advantage of their early lead and make the most out of this most unexpected head start they’ve been given.